for $625,000 with 4 bedrooms and 2 full baths, 1 half bath. This 3,817 square foot home was built in 2018 on a lot size of 0.22 Acre(s). 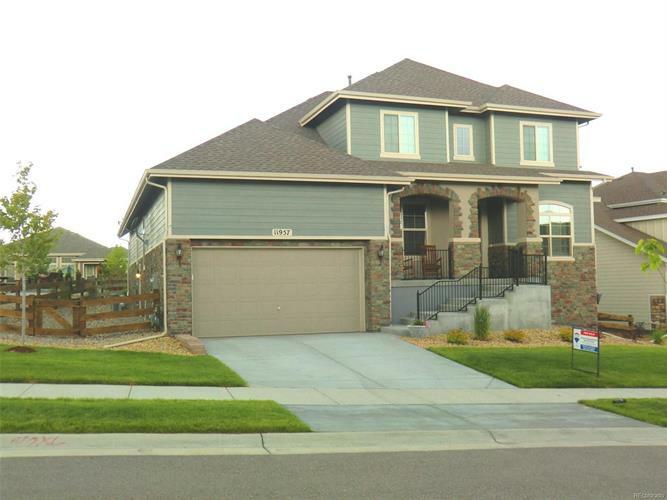 You'll LOVE this meticulous home w/extensive designer upgrades! Superb floor plan features a dramatic entry foyer w/rounded staircase, main floor study, elegant dining room w/walk-thru butler's pantry to chef-quality kitchen! The dining nook & great room are flooded w/light from the soaring ceilings & windows! Pamper yourself in the main floor master retreat w/luxurious master bath & large walk-in closet w/built-ins! Complete the main level w/ 1/2 bath, laundry, garage entry & walk-in pantry! Upper level has 3 large bedrooms w/walk-in closets + Jack & Jill bath w/separate vanity areas! Fab upgrades include expansive hardwood floors; designer kit w/top line cabs, granite counters, custom tile backsplash, double ovens, gas cook top, stainless appl. package, pendant lights, more! The master bath features quartz counters & tile floors! Elegant wood banisters have metal spindles & all are accented by custom paint choices! Enjoy BBQ's in the pro landscaped fenced yard w/ 12 x 20 patio! WOW!